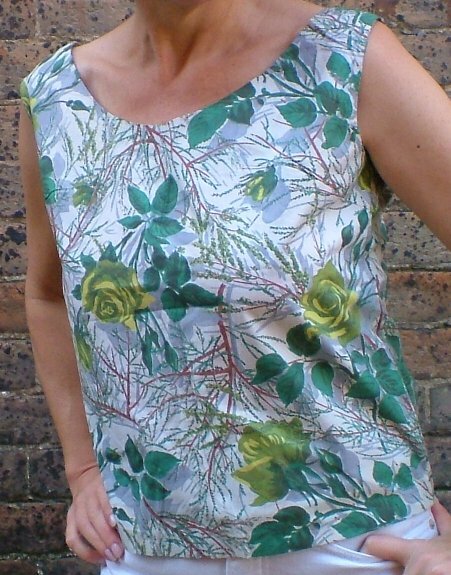 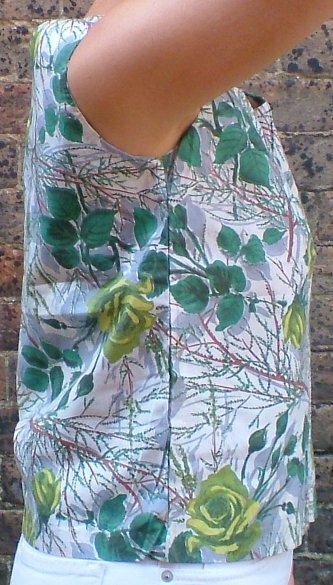 Vintage 1950s unworn green rosy print cotton top. 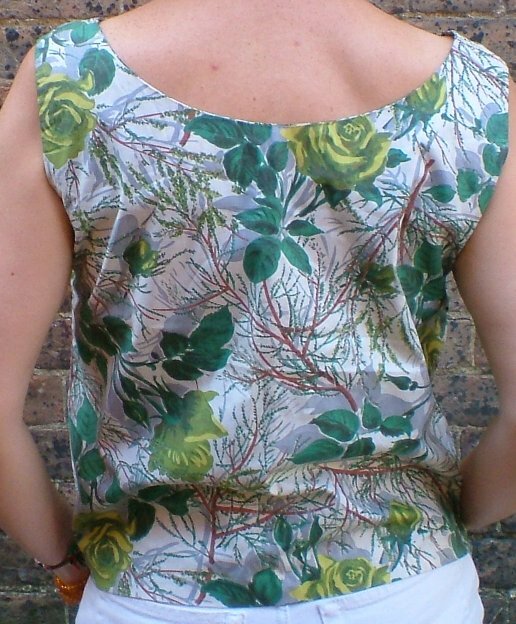 This pretty, square-cut top was probably originally paired with a matching skirt; however, it is alone now, and appears never to have been worn. 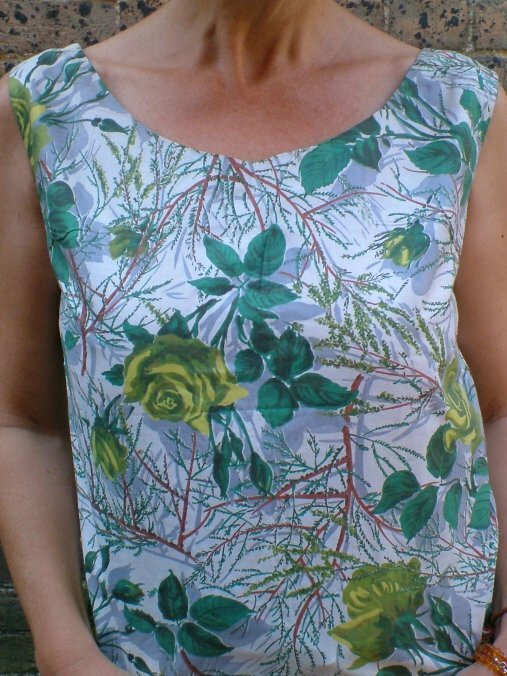 It is in absolutely perfect, unworn condition. 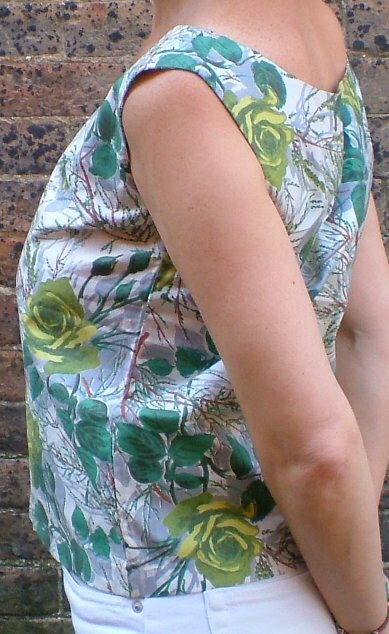 Approximate measurements are bust 38 ins/96.5 cms, length from back of neck 16½ ins/42 cms.